Sotheby’s is seeking between $800,000 and $900,000 for the gorgeous 1967 Toyota 2000 GT, the original Japanese supercar that Sean Connery’s 007 drove in You Only Live Twice. Before WWII, the cars built in Japan were mainly foreign companies setting up local manufacturing operations. Japanese companies really only tackled new cars themselves after the war, but for a long time, they were just building cheap economy cars, and most of the designs were copies of older cars from foreign manufacturers. Sports cars were tiny things with engines under one liter and they were produced in very small quantities. So it was a revolutionary moment in 1965 when Toyota first showed the 2000 GT at the Tokyo Motor Show. The car actually started out as a partnership between Nissan and Yamaha, but when Nissan decided to pass on the Yamaha design, it was taken over to Toyota. Even among Japanese manufacturers at the time, Toyota was a pretty conservative company. But the Toyota brass recognized the 2000GT as an opportunity to shake up its image, and maybe even change the way that people outside of Japan looked at Japanese cars in general. “Today it is one of the most coveted 1960s sports cars in existence, as well as considered by many to be the most desirable Japanese car ever built,” Sotheby’s bragged in an online ad pumping up the 2000 GT for its January 29th sale. Only 351 of these sporty two-seaters were ever produced — and just 50 ever made it to American garages. The GT’s 150 hp, 2000 cc Yamaha-built aluminum hemihead six-cylinder engine might only reach a top speed of 135 mph, but then again, this isn’t the kind of car you open up on the track. In 2013, another 2000GT became the first Japanese car – in fact, the first car from anywhere in Asia – to sell at auction for more than $1 million. The model also achieved some success as an endurance racer. Lavishly clothed in “Pegasus White” and coated in a black leather interior, the classic car spent much of its life in its native Japan, where it was owned by a “Mr. Fujita” before being imported into the U.S. in 2013. Anyone who’s got pockets deep enough to become its first American owner can contact the sales agents over at Sotheby’s. 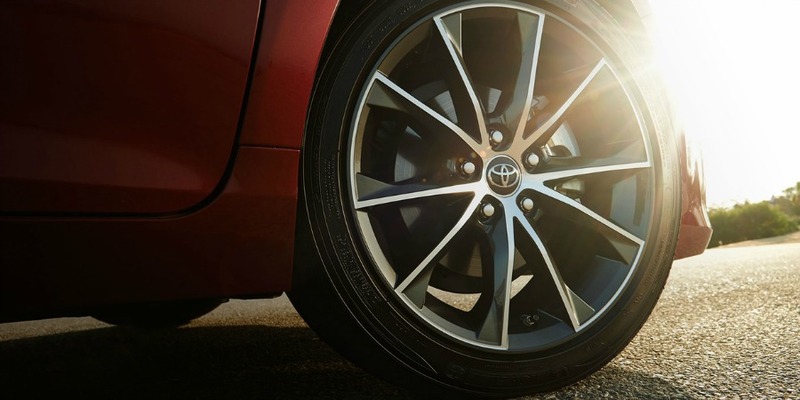 As for the rest of us, we have plenty of great Toyotas here at Elmhurst Toyota! Come in today for a test drive.